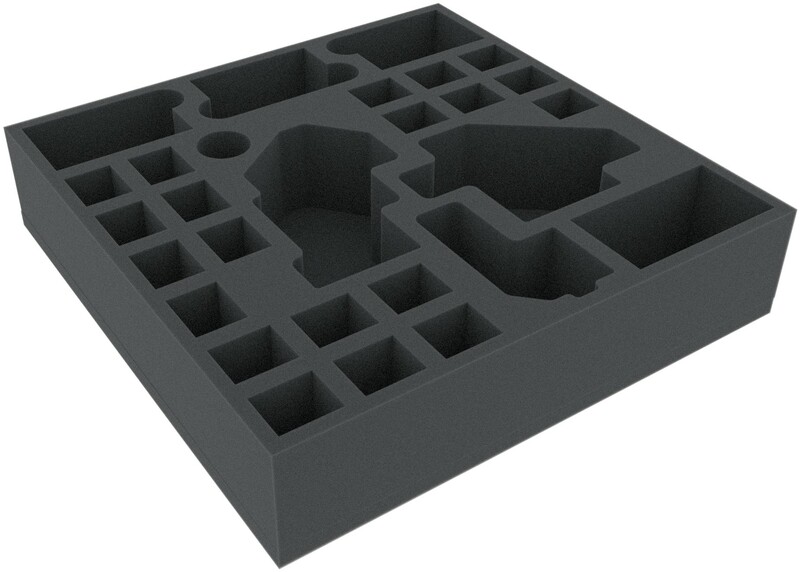 This foam tray suitable for retrofitting in many original board games boxes. 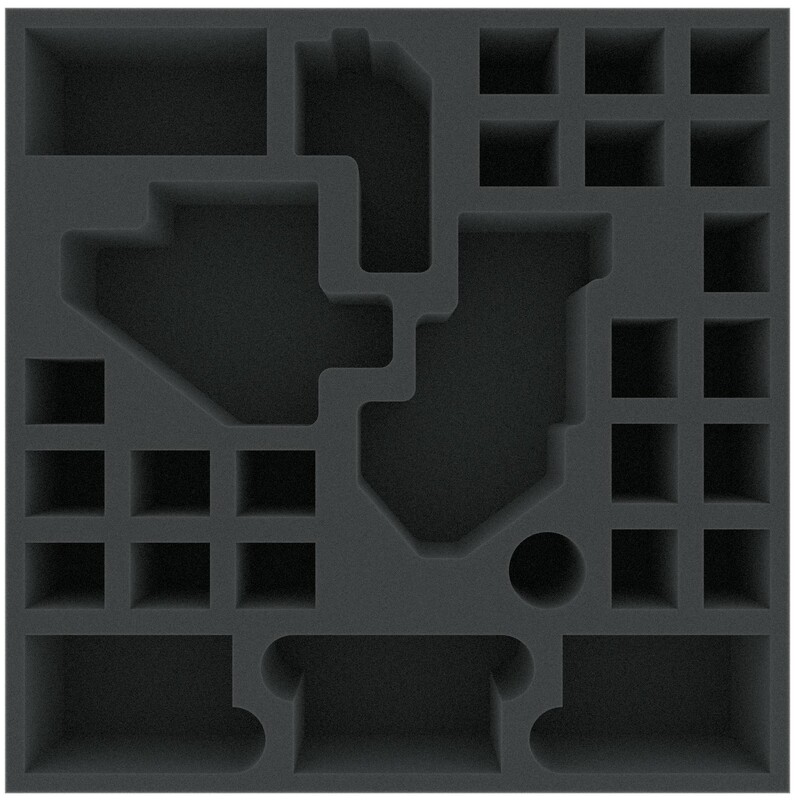 The 28 different sized compartments are suitable for all conceivable game material. So miniatures, cards, markers and dice can be kept in well.